Travel shouldn’t be beyond the reach of those with pre-existing medical conditions or who are over 65: this is simple the philosophy that underpins Just Travel Cover. With a range of insurance solutions available, it seeks to provide great value cover to all who need it. Single Trip Insurance is available for one-off holidays, and annual multi-trip insurance can incorporate unlimited travel for 12 months. You can even add winter sports cover to your policy if you are pining for the slopes. Cruise Insurance is available too, tailored to the specific needs of a holiday on the seas. There’s more to Just Travel Cover than insurance: if you’re after some holiday inspiration, head over to Just Travel Cover’s blog, full of destination guides and handy hints and tips. 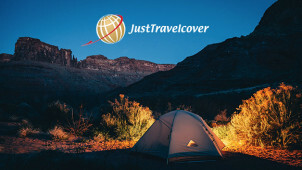 With an additional dedicated advice page that’s full of useful information about the nuts and bolts of travelling, Just Travel Cover is an excellent resource for those planning to see the world; whether you’re a seasoned traveller or you’re just beginning to explore. How do I use my Just Travel Cover voucher code? Just Travel’s advice page is full of handy tips that could help you save on your trip! Can travel companions without a medical condition be covered on the same Just Travel Cover policy? Yes, in fact it makes sense for you to have everyone covered on one policy. How can I get a copy of my travel insurance documents with Just Travel Cover? You will be emailed a copy of your policy within minutes. Additional copies can be requested by calling 0800 294 2969. Can I get a quote from Just Travel Cover if I don’t know the names of my medication or condition? You’ll need the to give the name of any conditions you have, though the name of your medication is not necessary. Check with a doctor if you are unsure. All travel insurance comes with a 14 day cooling-off period during which you can cancel your policy and get a full refund. Finding travel insurance isn’t always easy, and can be particularly challenging for those with pre-existing conditions. But don’t despair, Just Travel Cover is an insurance provider dedicated to covering those with medical conditions, including the over 65's. A Just Travel Cover voucher code could save you money on your next policy, so you could get peace of mind for less than you’d think. Get your holiday back on track with a quote from Just Travel Cover today! Numerous pre-existing conditions can be covered by Just Travel Cover, so you’ve got a great chance of being insured even if you’ve got a heart or circulatory condition, cancer, respiratory illnesses, diabetes, high blood pressure or asthma. The medical screening is quick and easy, involving only a few online questions to answer. You don’t even need a doctor’s certificate! Virtually all conditions can be covered, so head on over and see what they could do for you. If you’re planning numerous trips abroad you’ll want to apply for Annual Travel Insurance. Just one policy can cover all your trips in a year, it’s a highly convenient and cost-effective way of giving you peace of mind if you’re planning on multiple getaways. A Just Travel Cover discount code could save you money on this policy, so you can enjoy an extended period of unlimited travel for less, regardless of your medical requirements.